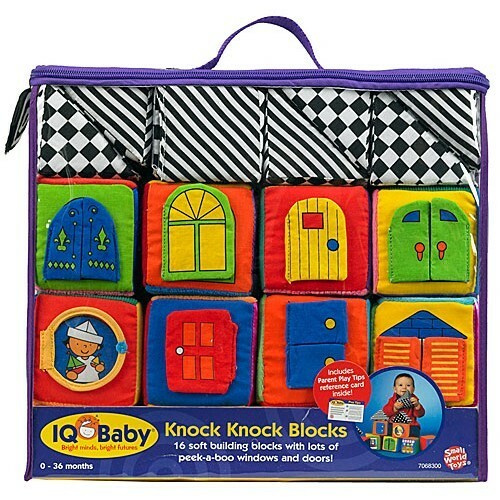 One of our best selling baby toys, this award winning touch and feel Knock Knock Soft Baby Blocks Set features the softest, lightest and most colorful easy-grip blocks. 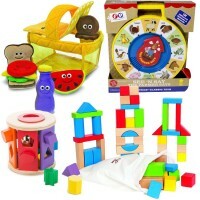 Award Winner: Right Start - Best Toy Award. 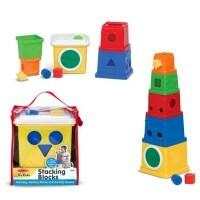 Stack, play, and then knock-knock it down! 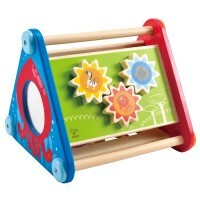 Knock Knock Blocks Soft Baby Blocks Set by Small World Toys is the perfect construction toy for babies and toddlers of all ages. 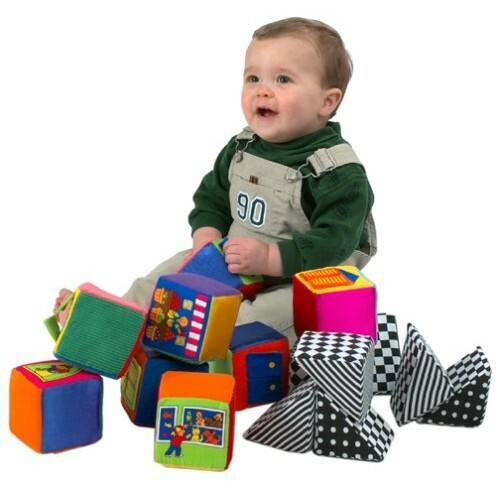 One of Educational Toys Planet's best selling baby toys, this award winning touch and feel baby block set features the softest, lightest and most colorful easy-grip blocks. 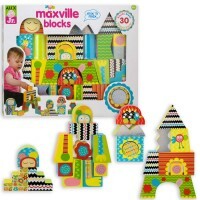 Not only will your children build motor skills as they stack these feather light pieces, but they will also be amazed by the peek-a-boo windows and doors. 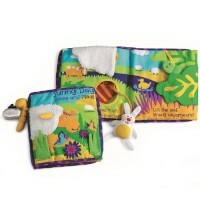 Open up each door to find a friendly character or whimsical safety mirror! 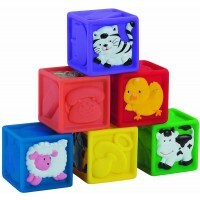 Each play cube from the Knock Knock Blocks Soft Baby Blocks Set even rattles, jiggles, squeaks or crinkles. 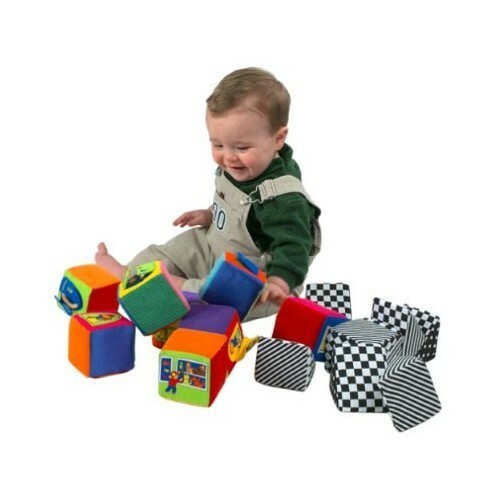 Your baby will never be bored with this wonderfully stimulating toy. 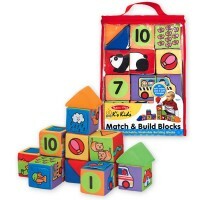 Dimensions of package 13" x 3" x 11"
Write your own review of Knock Knock Blocks Soft Baby Blocks Set. 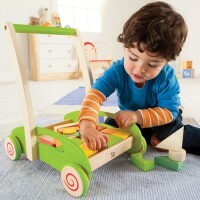 Rating: 5 by Sherry, IL It is soft for little hands and promotes creativity. 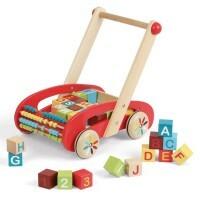 Rating: 4 by Roberto, CA Make my grandson busy on days I baby sit him. 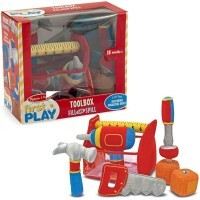 Rating: 5 by Valerie, MD Our grandson looked so happy when he got this toy. 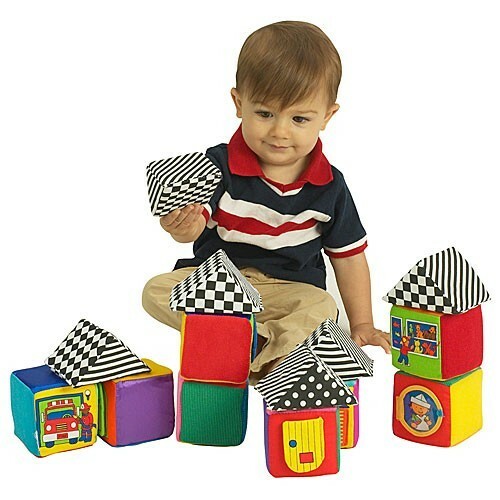 He loves these cubes. They're soft, colorful and nice to touch.